But critics say the announcement obscures Facebook's deeper motivations: To expand lucrative new commercial services, continue monopolizing the attention of users, develop new data sources to track people and frustrate regulators who might be eyeing a breakup of the social-media behemoth. Facebook "wants to be the operating system of our lives," said Siva Vaidhyanathan, director of media studies at the University of Virginia. Zuckerberg's plan, outlined Wednesday, expands Facebook's commitment to private messaging, in sharp contrast with his traditional focus on public sharing. Facebook would combine its instant-messaging services WhatsApp and Instagram Direct with its core Messenger app so that users of one could message people on the others, and would expand the use of encrypted messaging to keep outsiders — including Facebook — from reading the messages. The plan also calls for using those messaging services to expand Facebook's role in e-commerce and payments. A Facebook spokesperson later said it was too early to answer detailed questions about the company's messaging plans. Vaidhyanathan said Zuckerberg wants people to abandon competing, person-to-person forms of communication such as email, texting and Apple's iMessage in order to "do everything through a Facebook product." The end goal could be transform Facebook into a service like the Chinese app WeChat , which has 1.1 billion users and includes the world's most popular person-to-person online payment system. In some respects, Facebook was already headed in this direction. It has dabbled with shopping features in its Messenger app for a few years, although without much effect. And WhatsApp, which Facebook acquired for $22 billion in 2014, embraced a strong privacy technology known as "end-to-end encryption" nearly three years ago. Messages protected this way are shielded from snooping, even by the services who deliver them. 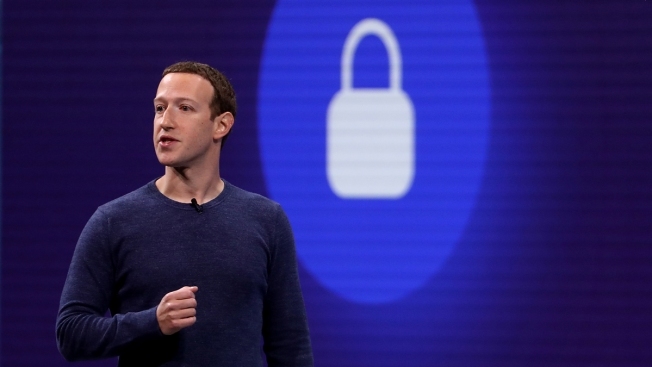 But Zuckerberg said nothing in the Wednesday blog post about reforming privacy practices in its core business, which remains hungry for data. A recent Wall Street Journal report found that Facebook was still collecting personal information from apps such as user heart rates and when women ovulate . Facebook, which perfected what critics call "surveillance capitalism," knows it has serious credibility issues. Those go beyond repeated privacy lapses to include serious abuses by Russian agents, hate groups and disinformation mongers, which Zuckerberg acknowledged only belatedly. "Until Facebook actually fixes its core privacy issues — and especially given their history — it's difficult to take the pivot to privacy seriously," said Justin Brookman, who was a research director at the Federal Trade Commission before joining Consumers Union as privacy and technology chief in 2017. Combining the three messaging services could allow Facebook — which today has 15 million fewer U.S. users than in 2017, according to Edison Research — build more complete data profiles on all its users. The merged messaging services should generate new profits from the metadata they collect, including information on who you message, when you do it, from where and for how long, said Frederike Kaltheuner of the advocacy group Privacy International. That is the information that users leave behind when they message each other or conduct retail, travel or financial business, she added. And Facebook doesn't just use people's information and activity on its platform, dissecting it to target people with tailored ads. It also tracks people who don't even use the platform via small pieces of software embedded in third-party apps. Privacy International published research in December showing that popular Android apps including KAYAK and Yelp were automatically sending user data directly to Facebook the moment they were opened. KAYAK, which was sending flight search results, halted the practice and said the transmission was inadvertent. Yelp continues to send unique identifiers known as "advertising IDs" that link to specific smartphones. 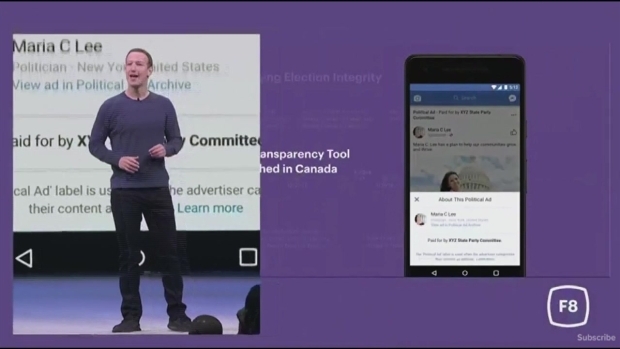 Facebook also has trackers that harvest data on people's online behavior on about 30 percent of the world's websites , said Jeremy Tillman of Ghostery, a popular ad-blocker and anti-tracking software. "When they say they are building a private messaging platform there is nothing in there that suggests they are going to stop their data collection and ad-targeting business model," he said. In a Wednesday interview with The Associated Press, Zuckerberg offered no specifics on new revenue sources. But "the overall opportunity here is a lot larger than what we have built in terms of Facebook and Instagram," he said. Privacy advocates, however, do admire one key element of Zuckerberg's announcement. "In the last year, I've spoken with dissidents who've told me encryption is the reason they are free, or even alive," Zuckerberg wrote.